Four college pledges must spend the night in a deserted old mansion, where the monstrous survivor of a family massacre stalks them. • Audio Commentary with Director Tom De Simone, Producers Irwin Yablans and Bruce Cohn Curtis and Actor Linda Blair. Another in a seemingly never-ending batch of 80s horror flicks, 1981’s Hell Night introduces us to college students who pledge Alpha Sigma Rho fraternity and its sister sorority. As part of this, they need to fulfill various tasks through their hazing period. Four of them receive the assignment to spend a night at Garth Manor, a deserted mansion at which brutal murders occurred precisely 12 years earlier. Inevitable terror ensues. When I was a kid, I saw the “Haunted House Is Not A Home” episode of The Flintstones. In that one, Fred needs to survive a night in a scary abode owned by his (supposedly) late Uncle Giggles. That show freaked me out a bit as a youngster, mainly due to the creepy laugh they gave to Giggles. Though the episode no longer scares me, I can say this with certainty: Fred’s adventures provide more horror than the similarly themed Hell Night. Not that Flintstones invented the genre, as the notion of people stuck in a spooky building goes back at least to 1932’s Old Dark House and probably much longer. Even by 1981, the basic premise of Hell Night felt cliché. Nothing about the film’s execution allows it to rise above its predictable origins. Instead, Hell Night delivers a slow, scare-free 102 minutes. The first act of Hell Night plods to an extreme. The opening sequence gives us a long frat party that introduces the characters in a rudimentary manner that could’ve taken half the time and been just as effective. Once the pledges get to the mansion, the movie sticks us with a horribly extended piece of clumsy exposition. Sure, we need to learn the backstory for the dominant location, but the movie could’ve found a better way to deliver this info instead of the tedious, clunky segment we get. Matters don’t really improve from there, as the poorly-written script continues to give us dull sequences that lack much real purpose. The movie takes forever to attempt terror, and even when it does, it telegraphs the potential chills in a way that robs them of any potential impact. This never really changes, as even when the action theoretically heats up, Hell Night remains slow and boring. Gore fans won’t even find much to like, as the film’s violence lacks much of the desired “ick” factor. Performances fly all over the map and lack both consistency and impact. Linda Blair – the only marquee “name” in the film – seems bored and sleepwalks through much of Hell Night, while Vincent Van Patten’s horny frat boy seems over-caffeinated and hyper the whole time. All these factors combine to deliver a boring and wholly forgettable horror film. Well-worn as it may be, the haunted house format still boasts potential for scares, but Hell Night never mines that territory. Hell Night appears in an aspect ratio of approximately 1.85:1 on this Blu-ray Disc. This became a mostly bland presentation. No issues with shimmering or jaggies occurred, and I saw no edge haloes. A handful of defects appeared – like a dancing thin vertical line around the 71-minute mark - but these remained modest and didn’t offer major distractions. Colors seemed bland. Hell Night provided a fairly natural palette that failed to deliver much pop or range. The hues were consistently lackluster. Blacks tended to seem a little inky and flat, while shadows veered toward the dense side and gave the movie a somewhat murky feel. A product of its era, the image seemed mediocre. As for the movie’s DTS-HD MA monaural soundtrack, it felt average for its age. Speech appeared a little reedy and thin, but the lines showed good intelligibility and lacked overt flaws. Music demonstrated limited range as well and lacked much pep along with some shrill tones. Effects fell into the same range. Outside of the horror bits, the track didn’t ask for much, and the elements sounded decent. They could be somewhat flat but they showed only a little distortion and represented the material well enough. All of this left us with a “C” soundtrack. When we shift to extras, we open with an audio commentary from director Tom De Simone, producers Irwin Yablans and Bruce Cohn Curtis and actor Linda Blair. Recorded for a 1999 DVD, all four sit together for this running, screen-specific look at sets and locations, cast and performances, the shooting schedule, effects and connected areas. Don’t expect a whole lot from this fairly mediocre track. The occasional useful nugget appears, but most of the chat seems lackluster, and we get some weird misstatements along the way. Oddly, the producers think Hell Night was unrated because it predated the MPAA system. That’s off by more than a decade, as those classifications emerged in the late 1960s. In addition, Blair thinks horror movies got more graphic over the years since Hell Night, which is also wrong. The 1980s were the “golden age” for violent splatter flicks, and flicks didn’t get nastier over the span from 1981 to 1999. Even without these strange goofs, the commentary just doesn’t go anywhere. Again, it tosses out some decent notes, but I find it tough to hang my hat on much I’d call insightful. After this we get a series of featurettes, and these start with The Beauty of Horror. It fills 35 minutes, 21 seconds with Linda Blair’s thoughts about her career in general and Hell Night in particular. She proves much more engaging and informative than during the commentary. We hear more from the director during Hell Nights. In this 26-minute, 57-second chat, Tom De Simone looks at aspects of his time movies as well as aspects of the Hell Night production. Like Blair, De Simone’s remarks easily improve on the material from the commentary, so the director delivers a nice selection of insights. Another actor pops up for Facing Fear, a 20-minute, 50-second program with Peter Barton. He goes over his work in show business and memories of his time on Hell Night. Once again, we find a useful compilation of notes. Bruce Cohn Curtis reappears for the 14-minute, 10-second Producing Hell. He discusses specifics of the Hell Night shoot and personnel in this tight, enjoyable chat. A companion piece, Writing Hell lasts 25 minutes, 51 seconds and involves screenwriter Randy Feldman. He looks at inspirations as well as story/character areas and other aspects of his script. We get another engaging and informative piece. Two featurettes show up under the banner of In Conversation: “Vincent Van Patten and Suki Goodwin” (26:53) and “Kevin Brophy and Jenny Neumann” (23:01). In these, the actors chat about their careers and aspects of the Hell Night shoot. Though the info follows expected parameters, the interactive format makes the “In Conversation” segments more engaging. The pairs of actors mesh well and give us informative glimpses of the film’s production. Gothic Design fills 22 minutes, 50 seconds with notes from art director Steven G. Legler. 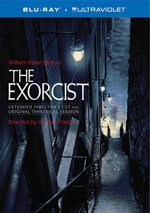 As implied by the title, this program examines set design. Legler covers his work in a satisfying manner. “Anatomy” lives up to its title, as it investigates elements of the movie’s murders. It mixes its participants well and turns into another useful show. After this we go On Location at Kimberly Crest, a six-minute, 48-second reel. Along with De Simone, we get a discussion of the movie’s primary location. It’s not one of the disc’s better pieces, but it adds a few good facts. In addition to the film’s too-revealing trailer, we find two TV spots and one radio spot. A Photo Gallery runs eight minutes, 31 seconds and provides 96 images. These mix shots from the set, publicity materials and candid elements. They become a nice compilation of photos. A second disc provides a DVD copy of Hell Night. It includes the commentary, four of the interviews, the trailer and the TV spots. A thoroughly sluggish and tepid stab at the haunted house theme, Hell Night lacks even rudimentary scares. It dawdles and fiddles as it builds toward a lackluster climax. The Blu-ray presents mediocre picture and audio along with a strong roster of video interviews that compensates for a dull commentary. Even by the low standards of 1980s horror, Hell Night seems like a dud.